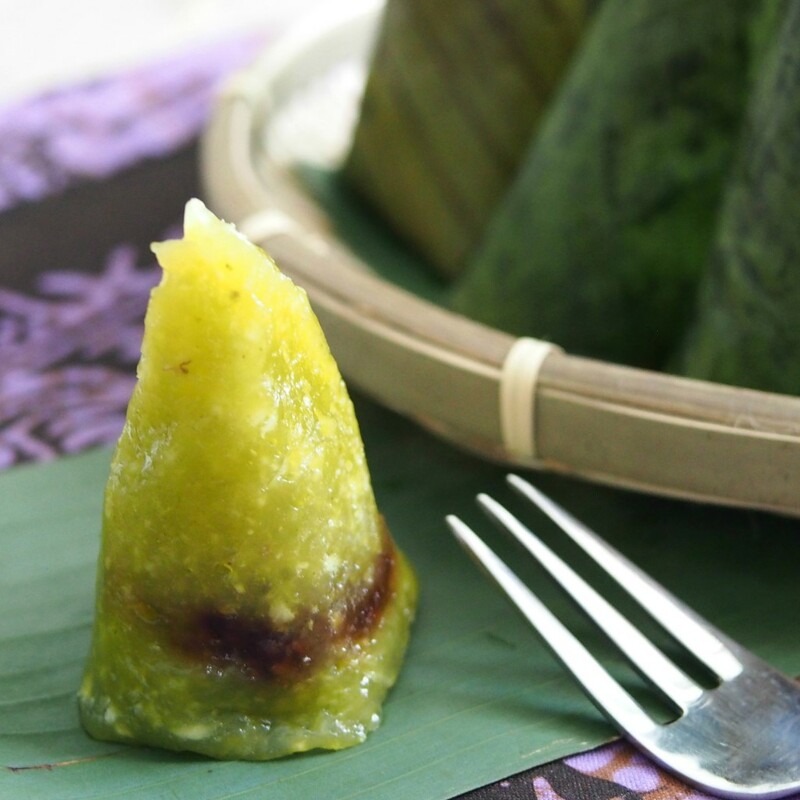 This is one of the Malaysian desserts that I learnt to make when I was studying Home Science during secondary school. I like the fragrant combination of coconut, pandan and gula Melaka along with the chewy texture of sago we call "QQ". Some banana leaves, cut into A5 size and scald with boiling water to soften. Wipe with a clean dry cloth. 1. Rinse sago and shock for at least 30 minutes. Drain well. 2. Mix sago with the remaining ingredients (except palm sugar) and set aside. 3. Brush banana leave with cooking oil. Roll banana leaf into cones shape and fill with sago mixture to half full. Scoop in some chopped palm sugar and top with some sago mixture. 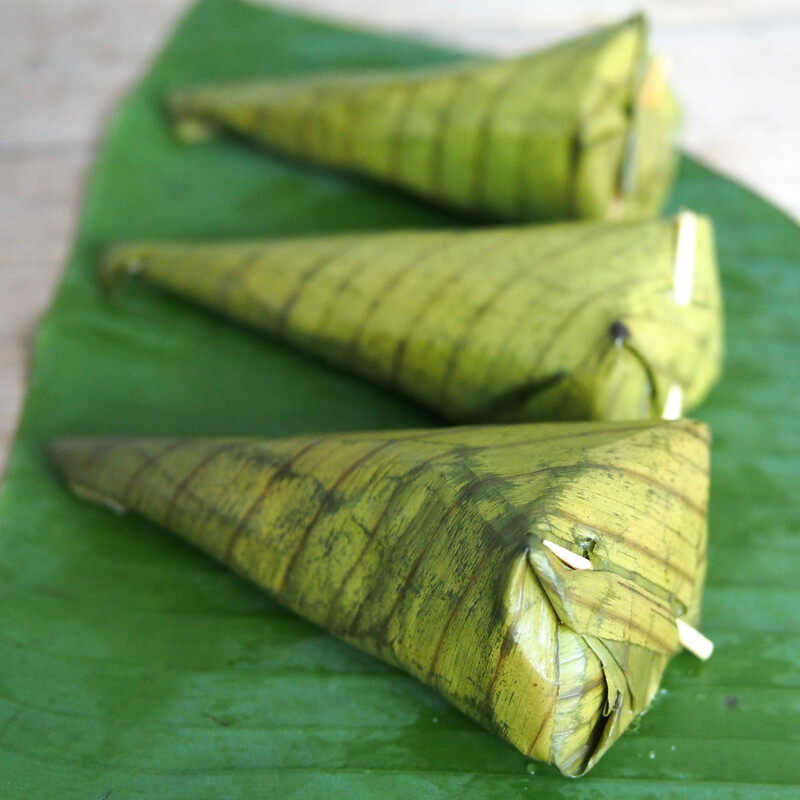 Fold down the banana leaf to cover and secure with toothpick. 4. Arrange them in a steamer and steam over high heat for 25 to 30 minutes. 5. Remove and cool before serving.